Growing up as a child in India, I was greatly influenced by two people, who inspired me to choose medicine as a profession. One was our own family physician. I dreamt of becoming just like him, and I developed a deep respect for the fact that he always conveyed hope and serenity as well as provided sound advice to all of his patients. The other was my mother, who nurtured my natural curiosity and passion. Her wish for me was to become a physician so that I could truly help humanity, as she believed that the ultimate service to God was by helping His people. After I completed my schooling in Mumbai, India I attended medical school in the city of Bangalore, often known as the “Medical Mecca” of India. Upon completion of my training, I met my wife, who shared my dream of practicing medicine, and so we emigrated to the United States. I secured a residency in a community hospital program, where I had the opportunity to acquire skills in various subspecialties, such as internal medicine, OB-GYN, pediatrics, general surgery, dermatology, allergy medicine. I was fortunate to have very experienced attending physicians who believed in me and recommended me for the position of Chief Resident in my final year. After completing my residency, I then moved to Texas to be closer to my extended family. 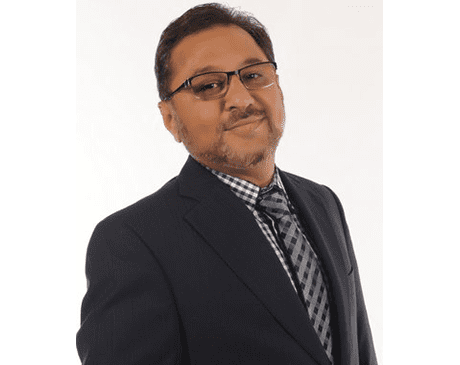 I started my career working with a family practice group on the south side of San Antonio for two years, during which time I enhanced my skills as well as acquired the business acumen that would help me when I eventually opened up my own practice. Throughout my journey of finding my practice, I often stumbled on questions from patients that I just could not answer. However, as I researched further and further, the direction I wanted to take for my own practice became clear. I understood that to truly help my patients, I would have to treat them holistically rather than just focusing on individual systems and concerns. My style is defined by dedicatedly listening to my patients and trying to discover the root of their problems. From this, I found I was able to truly help my patients. In a further effort to offer the most optimal care to my patients, I came across A4M, the American Academy of Anti-Aging and Wellness Medicine. I began the A4M fellowship in the interest of learning of alternative options I could offer my patients as opposed to traditional medicine. My dream for the future is to continue to sharpen my skills, as I truly believe one never stops learning in life. I am hoping to put together a robust anti-aging and preventative wellness-based program for my dedicated patients to truly give them the best choices for improved health and a better quality of life.